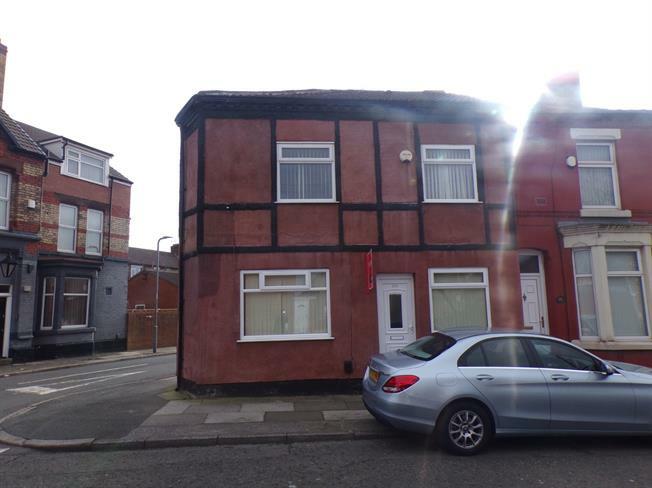 2 Bedroom Terraced House For Sale in Liverpool for Offers Over £69,950. Entwistle Green are pleased to welcome to the sales market this two bedroom, open plan end terrace with no onward chain. The property will appeal to either first time buyers of landlords, viewing is highly recommended. In brief, the accommodation comprises, an open plan lounge, dining room, kitchen, two bedrooms, a big bathroom, double glazing and central heating. The property is also an end terrace giving you bigger living space and more privacy. Please call 0151 220 4443 for more information. Radiator, laminate and carpeted flooring. Double glazed uPVC window. Tiled flooring. Granite effect and roll edge work surfaces, fitted, wall, base, wall and base and drawer units, stainless steel sink and with mixer tap with drainer, integrated, electric oven, gas hob, over hob extractor. Double glazed uPVC window. Radiator, tiled flooring. Touch flush, panelled bath with mixer tap, shower over bath, pedestal sink with mixer tap.